After the largest ever one-month drop in agricultural producer sentiment, the 'top 20 wealthiest families' are best placed to hunt for bargains, an insider says. Trade-related uncertainty is dragging down sentiment among agricultural producers and making institutional buyers of US farmland cautious, according to market observers and participants. 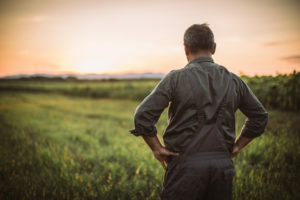 Earlier this month, Purdue University and the CME Group reported that July saw the largest one-month drop in the three-year history of the monthly gauge of agricultural producer sentiment. The pair wrote that measures of sentiment regarding both current conditions and future prospects led to sharp drops last month that brought the cumulative score to 117 – an almost 20 percent decline from the reading of 143 reported in June. Set on a scale that compares current conditions with a baseline of those between October 2015 and March 2016, the report is based on a survey of 400 agricultural producers, with a reading above 100 suggesting an improvement and a score below 100 reflecting deterioration. Shonda Warner, managing partner at Chess Ag Full Harvest Partners, an asset management firm headquartered in Kansas City, Missouri, told Agri Investor that it appears uncertainty surrounding the trade war has also inspired a “wait and see” approach among institutional buyers in US farmland markets, though opportunities remain. Warner said that, although many farmers expect institutions and the least-levered among their ranks to be the most active buyers in the near term, she thinks other buyers are more likely to benefit. The financial stress reflected in the Purdue/CME report relating to continued weakness in commodity prices has been exacerbated, according to Warner, by steel tariffs that have begun to increase equipment costs for ag-related manufacturers and processors. Although that financial pressure may be making more farmers open to sale/leaseback transactions, Warner said her firm eschews the deal structure in its own farmland investments. Because they are often entering into such agreements for cashflow reasons, in some cases, farmers act as if they still own the land and limit an investor’s ability to guide management of the property. Unfortunately, Warner added, another consequence of the trade war has been that it has diverted attention from developments that might otherwise be providing support to market sentiment.